A special 100-year anniversary event with film, music, poetry and song. On the 11th November 1918 the armistice came into effect which ended the First World War. It was signed in a railway carriage at Compiegne, in the North of France. 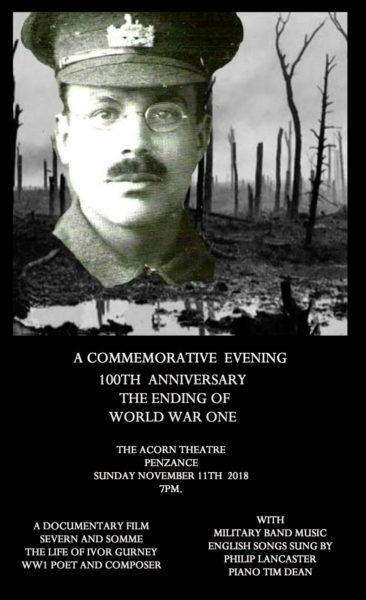 Join us for a very special event at the Acorn Theatre Penzance, to commemorate the ending of WW1. The Penzance Silver Band will play the Trinidad March, a composition by the Cornish composer George Lloyd, who was badly injured in WW2. Philip Lancaster, baritone, will sing English Songs by Ivor Gurney accompanied on the piano by Tim Dean. There will be a showing of the highly acclaimed drama documentary film by Redcliffe Films of “Severn and Somme “, The life of Ivor Gurney WW1 Poet and composer. Ivor was a contemporary of Ralph Vaughan Williams, Wilfred Owen, Rupert Brooks and Herbert Howells to name but a few. The film has featured at many literary and music festivals around the UK. 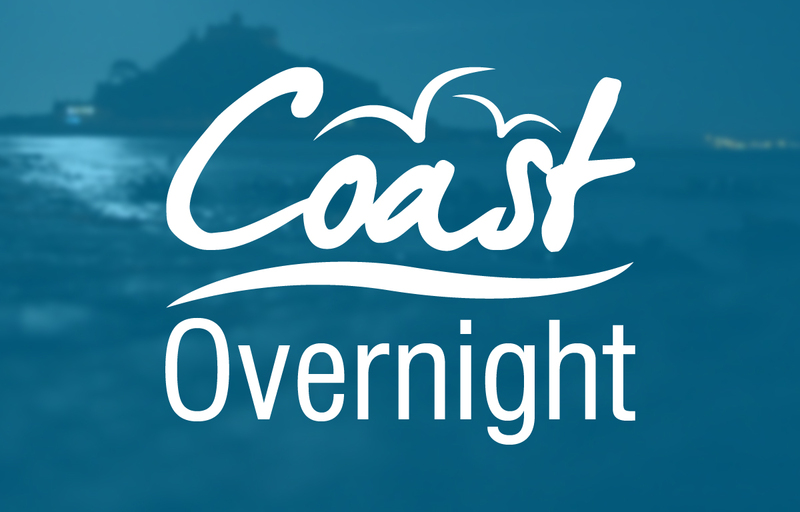 It has also had screenings in Bristol, Gloucester and Lichfield cathedrals. Expect an evening of wonderful poetry, music, film and song, as well as a chance to reflect on the wasted lives of so many talented young men.